Becoming successful as a blogger might take some time, especially if you’ve never tried anything like that in the past. To make sure that you get through this period in a hassle-free manner, start working smartly. The first smart move is to keep your financial investments as minimum as possible. As you may know, two of the most prominent things that require financial investment are content and design of your blog. Even if you’re from the non-technical background, you can manage the content part yourself. When it comes to blog design, there are plenty of free WordPress themes available in the market which can be put to use for this purpose. 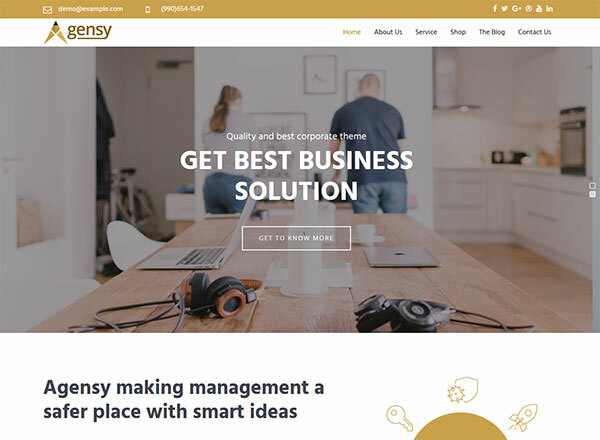 In case you’re confused as to which free WordPress theme to choose and which one to reject, we have compiled a list of 30 highly rated free WordPress themes here. 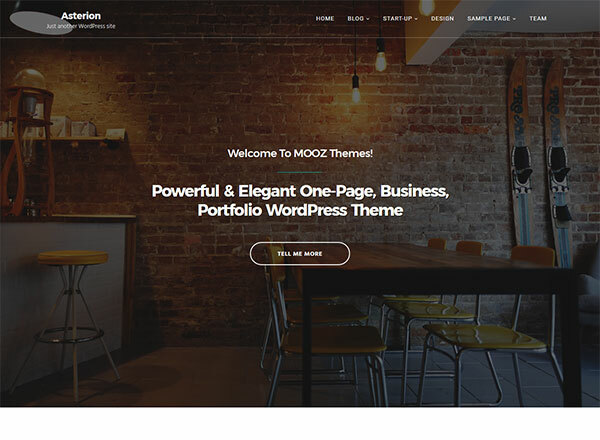 You can check out all these themes and select the one that fits with your blog niche. There is hardly any blogger who doesn’t want to have schema markup activated on their blogs and websites. In case you are also interested in seeing a quick boost in your search engine rankings using schema markup but cannot afford to pay for the paid version of the Schema theme, then Schema Lite is your perfect go-to option. It is lightweight, super fast, has multiple customization options and can be installed in a hassle-free manner. Go ahead with LETO if you aspire to create a site on which you can write and share your content with thousands of other people regularly, and at the same time sell niche specific products to them. 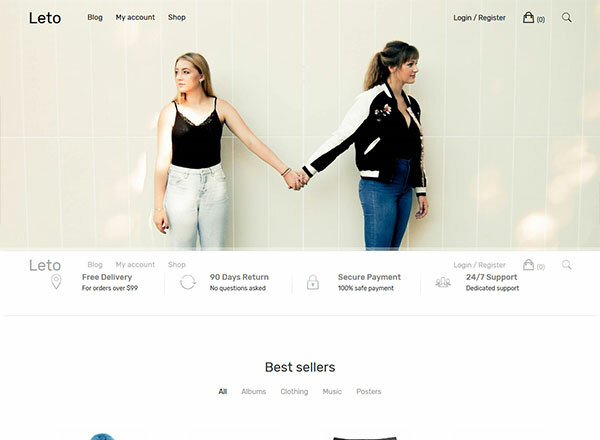 Unfortunately, not many themes come with WooCommerce to support direct product sales. This is where a free theme like LETO can make the difference. With it, you cannot only get high search engine rankings but also sell products to people from all over the world. At a time when Google keeps on updating its algorithms on a regular basis, you cannot rely solely on search traffic. What you can do is focus on different tactics to build a strong presence on social media platforms. 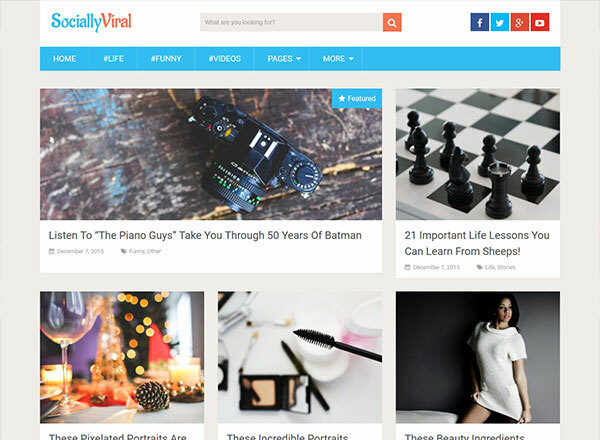 In case you already have a site that gets a lot of social traffic, and you want to increase it further, then opt for SociallyViral Free without any second thought. It is the free version of bloggers’ favorite SociallyViral and has all the required features to get you better social engagement and signals without any extraordinary manual effort. If you have a client operating in the real estate field and wants to reach out to maximum prospects using a beautifully designed website, and you cannot afford to purchase a premium theme due to budget constraints, then opt for the Construction Lite theme and get rid of all your worries. This theme comes with multiple customization options, SEO friendly design, clean code and most importantly mobile responsiveness so that you can make the most out of the smartphone traffic. There are not many themes having features that are entirely dedicated to musicians and DJs. This is where Musical disrupts the market and provides the best possible solution to professionals from all over the world. 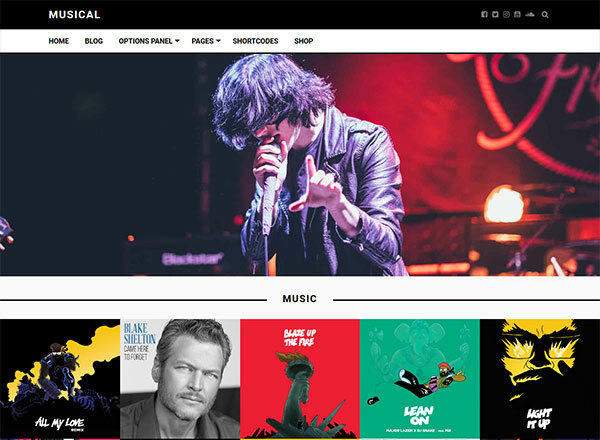 If you are an entertainment blogger or have a client who’s a DJ, musician, artist, band owner, etc., then this is the best theme to try out. Not to mention, Musical comes with SEO friendly features, mobile responsive design, and attractive homepage layout. Have a go at it for the best-in-class results. What if you could easily follow your passion and make money at the same time using your website? 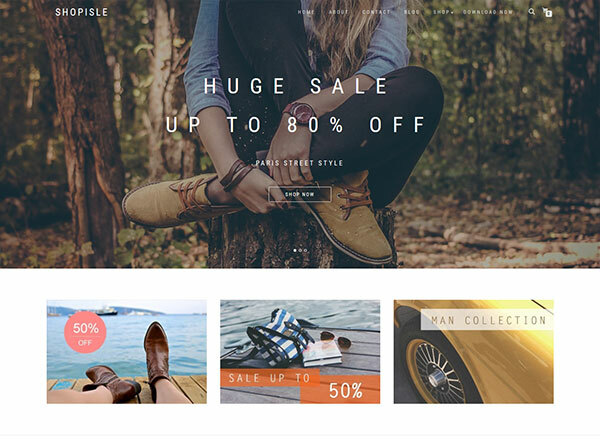 Well, it might seem like a dream, but with ShopIsle theme, you can quickly turn it into a reality. The theme is beautiful, which goes well with sites publishing news and updates about travel, lifestyle, fashion, sports, etc. Along with essential SEO features to get you first page rankings, this theme also provides WooCommerce support just in case you wish to sell niche-specific products to users from all over the world. You cannot find a better theme than this if your goal is to publish content and sell products at the same time. Thousands of startups are born every year. They need a platform where their stories, funding updates, and shoutouts can be published. Just in case you have such a blog where you post startup-stories, then go for the StartRight theme. It is one of the most beautiful, lightweight and feature-rich themes with a live site customizer and unlimited color combinations. 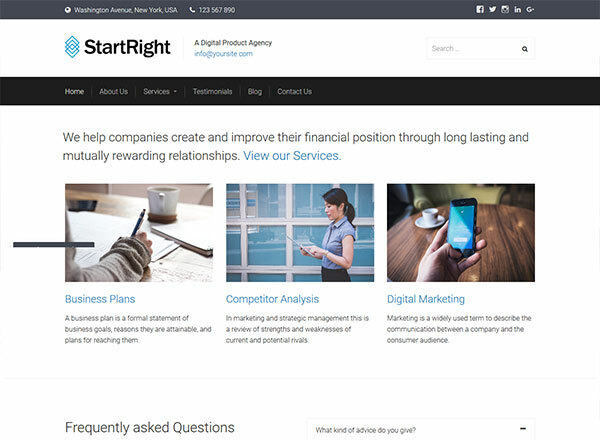 StartRight performs equally well on desktops and smartphone devices. Opt for it and give a professional touch to your website in a hassle-free manner. The way Shopify has disrupted the market is something you cannot shut eyes to. If you want to multiply your online income sources, then start a Shopify store along with your main blog. The first step is to select a beautiful theme that is lightweight, minimalistic and at the same time visually appealing. This is where the Simple theme comes into the picture. It is easy to install, comes with a host of customization options and supports Shopify store integration. The best of all is it’s completely free. Are you a blogger, entrepreneur, author or artist, and looking forward to building an online portfolio site which has details about all your past achievements, current projects, clients, and skills? If so, then instead of going with a full-fledged blog, focus on creating an attractive single page site with all the necessary details. OnePage Lite can help you accomplish this job in a trouble-free manner. It is easy to setup, has an SEO friendly UI/UX, attractive homepage layout, dedicated social media plugins and performs well on smartphone devices. So, make a run at it and create a reliable one-page portfolio site this year. Running an SEO agency or a corporate house can some time be a daunting task. Along with daily operations, you need to take care of online branding as well. 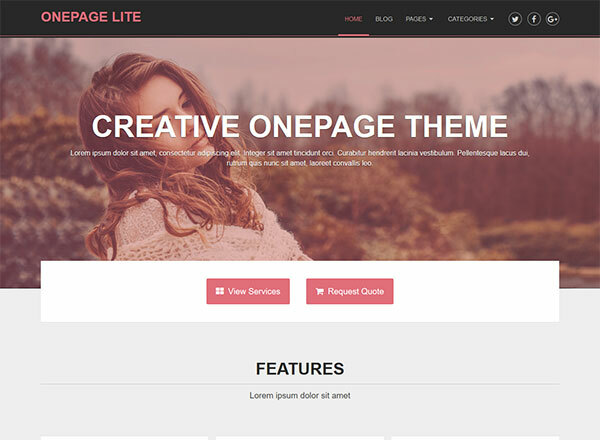 If you’re looking for a 100% free theme for this purpose, then go for Agensy right away. It is a lightweight, multipurpose and SEO friendly theme that can help you create a stable brand image. If writing stories about emerging businesses and newly established startups excite you, then here is your gateway to start a site around it. 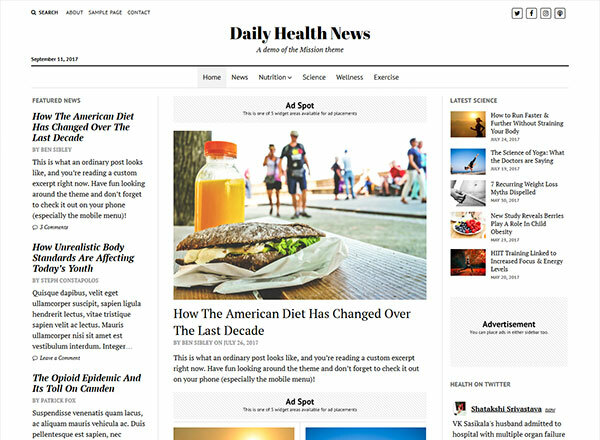 Give a shot to this free theme and give a professional touch to your publication. The Startup Blog theme is one of the most beautiful, lightweight, minimalist and visually appealing themes in the market. It is equipped with necessary SEO features and has the potential to serve mobile readers equally good as desktop users. 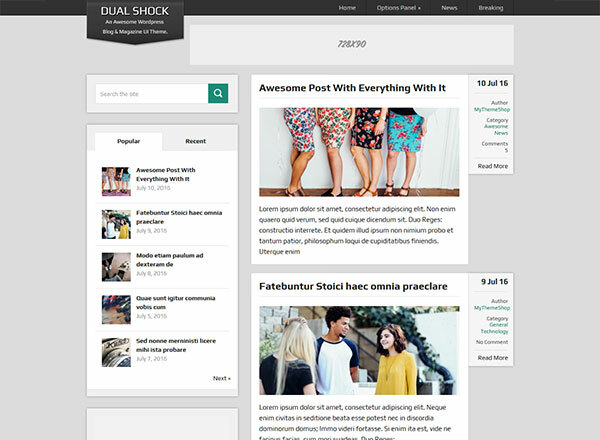 Last but not the least, Startup Blog has a unique homepage and post layout that can keep all the users hooked to your site for an extended duration. As a blogger, the most significant hurdle that you’ll ever come across is making the readers engage with your content. A beautiful theme like Serenti can make it happen easily. 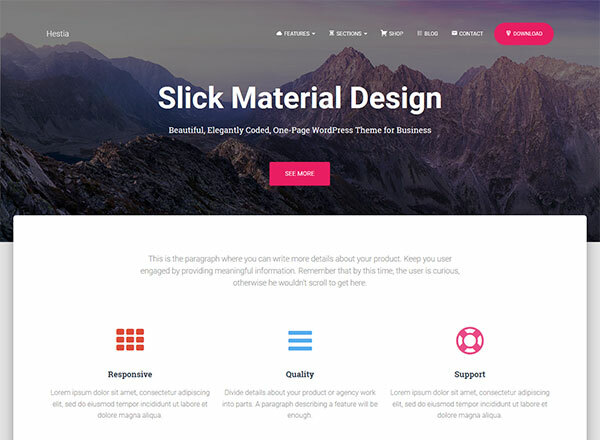 It is an elegantly designed theme with a clean UI/UX and SEO friendly structure. Serenti performs well on both large screen devices and small screen devices. 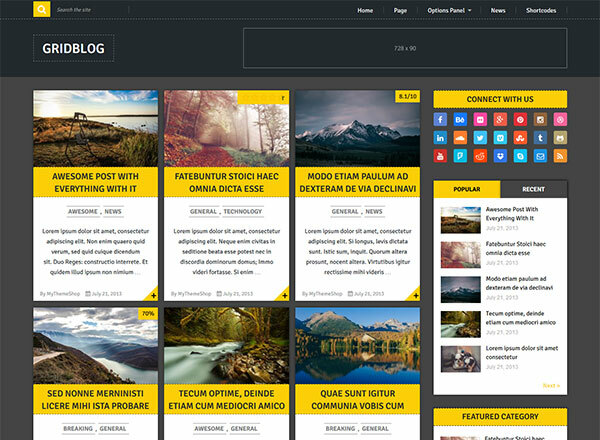 Some of its primary features include full width and sidebar layouts, customizable widgets, unique About Me template, live customizer and multi-category option. It is ideally suited for travel, fashion, lifestyle or personal bloggers who want to give their site a dazzling appearance. Now you don’t have to write hundreds of lines of codes to make your site look professional. 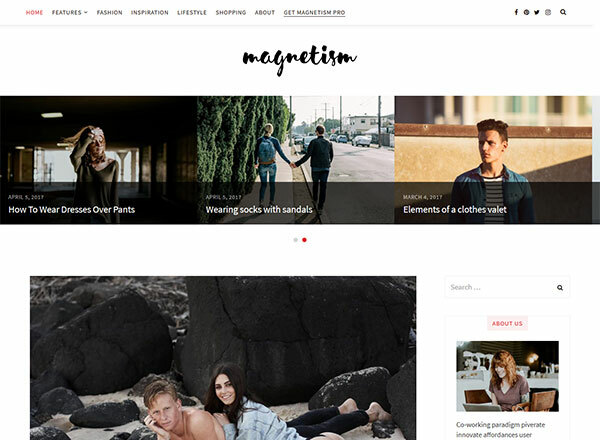 A free theme like Magnetism can easily do this job for you. It is SEO friendly, mobile responsive, visually appealing, powered by a pixel perfect design and crisp typography. On top of it, Magnetism comes with live customizer, free technical support, and easy installation process. All in all, an excellent theme to have on your blog. 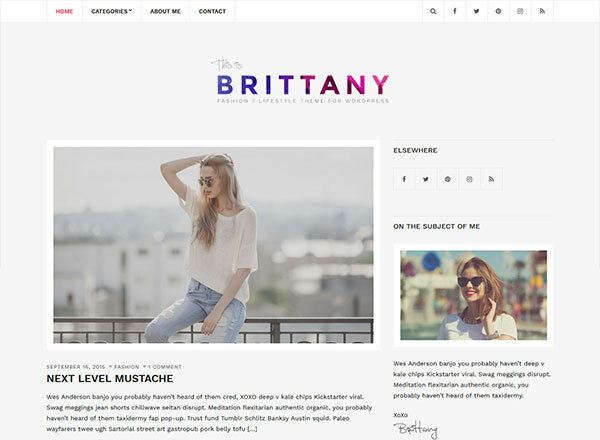 There are not many free themes for fashion and lifestyle bloggers which can offer you a better experience than Brittany Light. 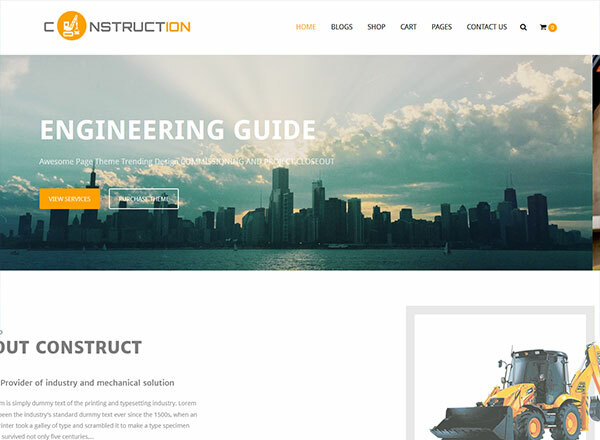 It is powered by a minimalist design, visually appealing homepage layout, unique author page, ideally located social media buttons, unlimited color combinations, and a clutter-free design. Have a go at it and change the way your site design looks. 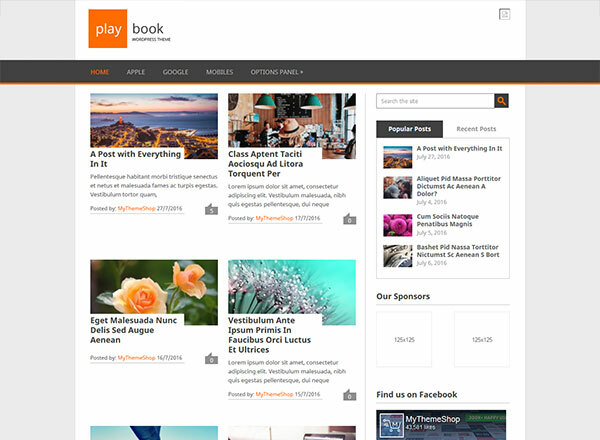 If you want to give your site a traditional look coupled with dual column layout and eye-catching design, then go ahead with Playbook. Along with a broad range of SEO friendly features, Playbook is loaded with MyThemeShop’s trust and excellence. It comes with custom widgets, a robust options panel, and live customizer. The best part is that you get all these features free of cost. 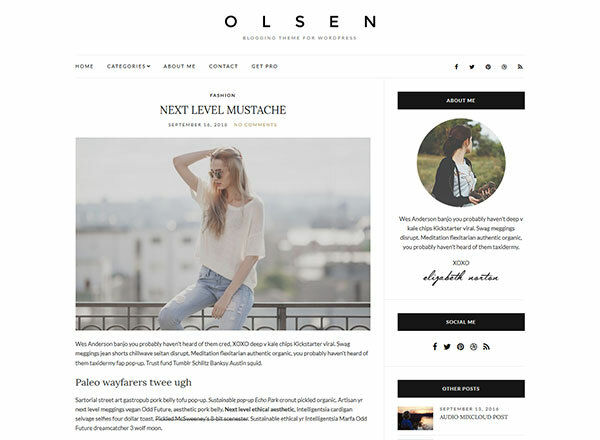 If you are a fashion, lifestyle or travel blogger and wish to give your site a beautiful touch instantly, then opt for Olsen Light without any further delay. It is powered by customizer options, multi-lingual support, custom widgets, attractive social networking options, search engine friendly features, unique Instagram integration for better social reach, and mobile responsiveness. Use it once, and you’ll not have to look for another alternative again. 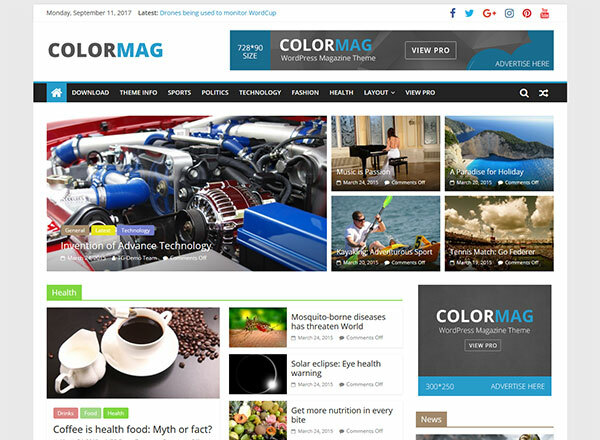 If you run a newspaper, publishing, news, magazine, tech or business niche site and wish to give it a unique touch without spending a significant amount of time and efforts, then switch to ColorMag right away. 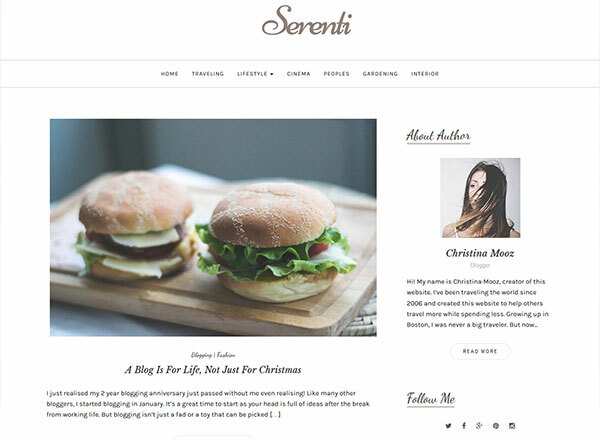 It is modern, elegant, and most importantly SEO friendly theme. The best part about having ColorMag on your site is that you will never have to worry about earnings again. This theme is equipped with many features to boost ad CTR, thereby overall earnings. Check it out and take your site’s user engagement and advertisement revenue to newer heights. Ever since Nick La came up with iTheme, many themes have been launched in the market. But none of them could replicate the success that this theme enjoyed in its initial days. 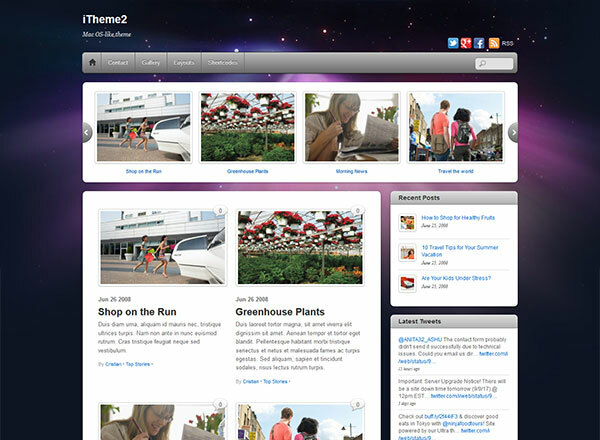 iTheme2 is the successor of iTheme and has a lot more features to get your desired outcomes than the previous version. It is powered by a slider layout, customizable sidebar, eye-catching homepage layout, smartphone-friendly design, and useful widgets. If you run a tech blog related to MacBook or other similar products, then iTheme2 is the perfect option to go ahead with. There are many themes available free of cost in the market, but hardly any of them can perform better than the Point theme for your site. It is a perfect match for sites publishing content around tech, how-to, finance, entertainment, sports and even politics. It comes with all the latest features; SEO friendly design, smartphone responsiveness, unlimited colors and flexible sidebars. On top of all these features, Point has built-in support for Google AdSense and other third-party ads. 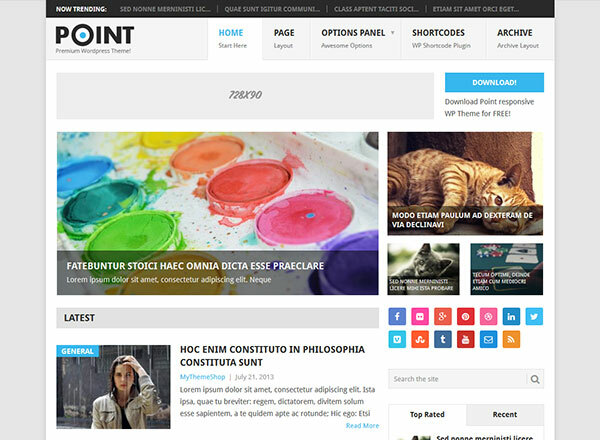 All in all, if you wish to give your site a unique touch without hurting your pockets, then give a shot to the Point theme. As a fashion and lifestyle blogger, it is your responsibility to make sure that whatever content you put on your site is liked, read and shared by your readers over and over again. For that, don’t step back even if you have to get out of your comfort zone and do something extraordinary. The best way to proceed ahead and keep your struggles to a minimum level is to opt for the Orsay theme immediately. It is elegant, classic, lightweight and powered by an irresistible homepage layout. If you wish to get an edge over your competitors this year, then do something special instead of following an ordinary path. The best you can do at this time is build an active community. 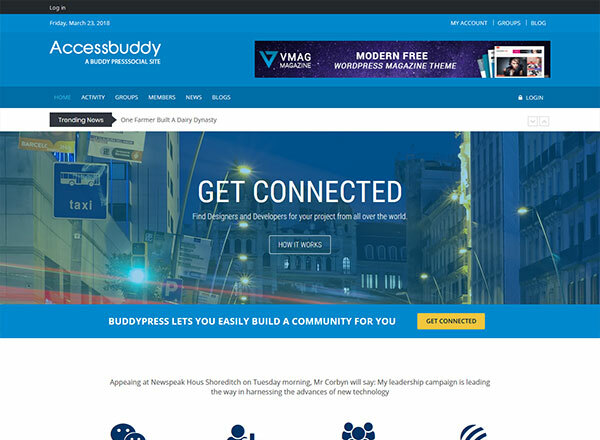 With AccessBuddy is a free BuddyPress and WordPress theme, you can go ahead and create a community site, forum or membership site having unique features like profile dashboard, register/login account, sharing updates with members, friends and messages, live notification, members activity, and much more. So, leave all your doubts aside and start working on your next community platform with AccessBuddy. 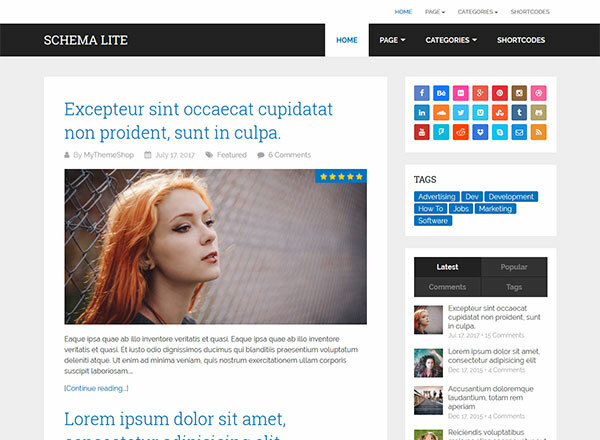 Hestia is a free SEO friendly material design theme having unlimited color combinations. The icing on the cake is its WooCommerce compatibility. Yes, now you can make your content look impressive and at the same time sell products to users from all over the world with Hestia. Take a shot and turn your site into a thriving web portal in 2018. There are tens of millions of users who use Pinterest on a daily basis to share photos and be in touch with others. If you’re also someone who is in awe of Pinterest’s design and color combination, here is a chance for you replicate it on your site. 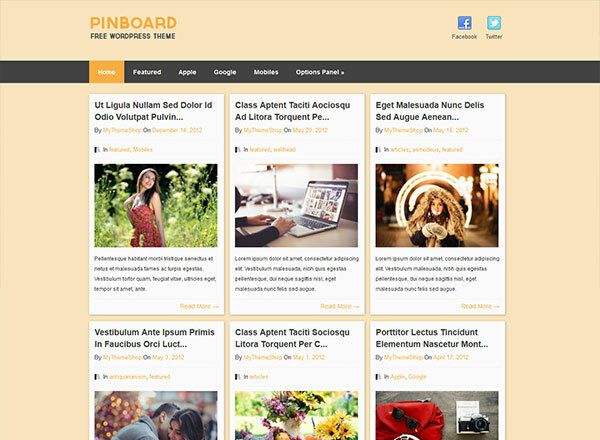 With Pinboard, you can give your site a Pinterest-like appearance and ensure that it performs well on social media platforms as well as search engines. The installation process is smooth and requires no technical knowledge at all. 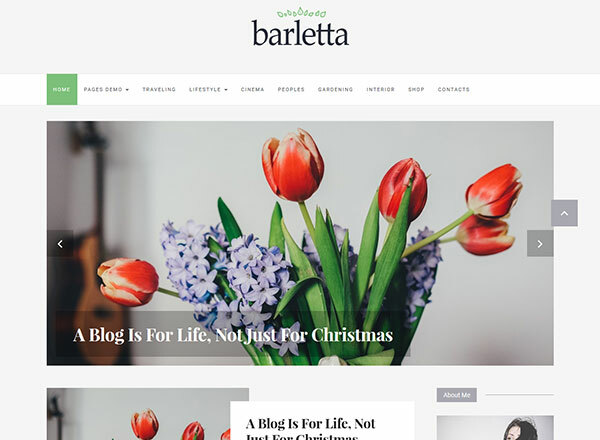 Barletta is another elegant and lightweight theme with an appealing homepage layout and a beautiful design. It is minimalist and highlights your content to generate better user engagement and organic traffic than ever before. Cele is one of the fastest, cleanest and minimalist themes that has been developed with a sole objective to get your content the attention it deserves. It loads extremely fast and works fantastic on different devices. Cele comes with readymade tutorials for hassle-free setup and top-notch technical support to ensure you never face any issue and get stuck while using it. 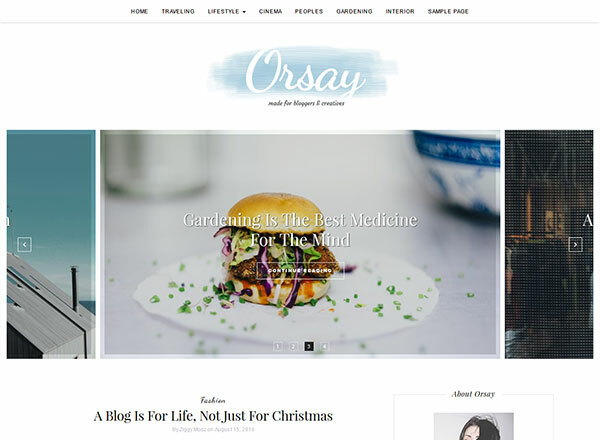 It is a free responsive magazine style theme, capable of giving your site the quintessential professional touch. Ribbon scores over 97 in performance grade on Pingdom Website Speed Test, ensuring that your site loads very fast and gets higher rankings on search engines. Its social media buttons, unique homepage design, eye-catching color combination and 100% mobile responsiveness will not only help you get proper user engagement on the site but also ensures it doesn’t miss out traffic coming from small screen devices. Have a go at this free theme and feel the difference. 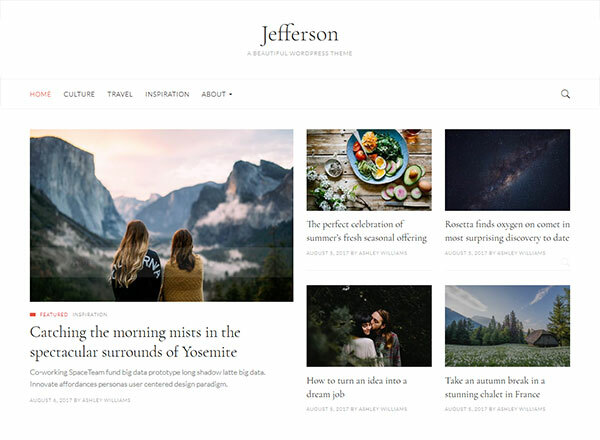 Jefferson is a minimalistic theme that can be installed on sites covering topics like food, lifestyle, travel, entertainment or fashion. It comes with a clean and lightweight design to ensure your site loads fast on desktops as well as smartphones. 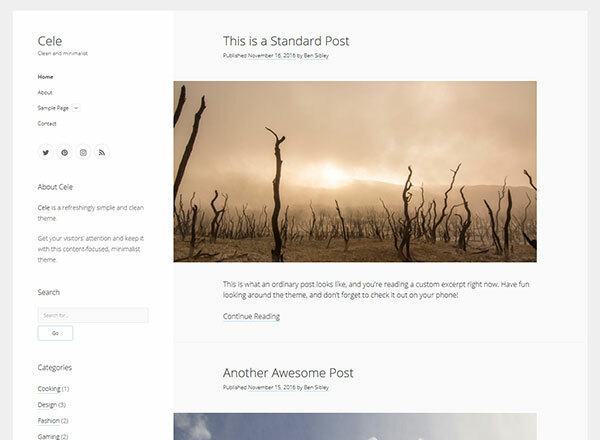 If you are tempted to give your blog a grid layout, then GridBlog is an ideal theme to proceed ahead with. 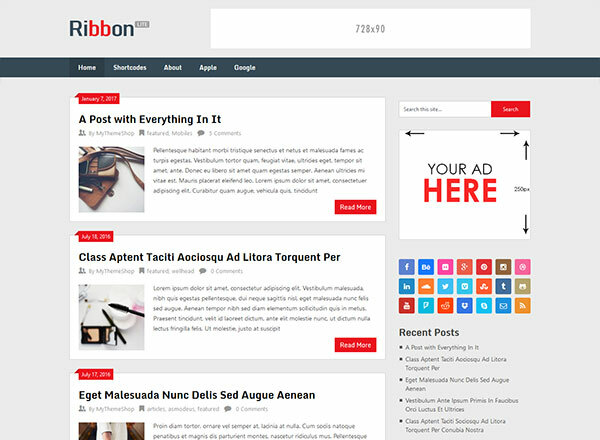 It is light, visually attractive, has a flexible sidebar and unique social media buttons. GridBlog has unlimited cooler combinations and comes with an easy installation process. All thanks to Asterion’s handy features, eye-catching homepage layout and speed optimized design, you can use it on your agency website as well as any niche specific or personal blog. It is equipped with all the latest features and has the potential to rank your site on the first page of Google. DualShock is a free magazine style theme with features like custom widgets, theme options panel, search engine optimized and translation ready. Have a go at it and give a professional touch to your site. You don’t have to spend money to give a unique design to your site. Simply, check out all the themes mentioned above and select the one that gels well with your niche for desired outcomes.